Hubbell-Wiring Tamper-resistant duplex receptacle with USB charger, has RTP face and base construction for long-life durability. It features green indicator LED, plated steel terminal screws and zinc plated steel mounting screws. It is suitable for commercial, industrial and home use. 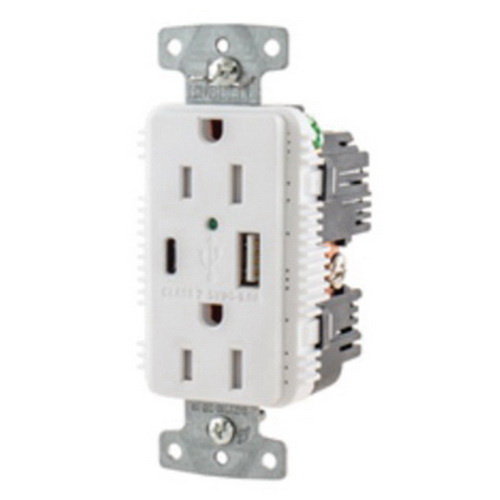 The duplex receptacle with USB charger, meets UL 498, UL 1310 and cULus standards.